The traditional financial system was swept by the concept of crowdfunding. The Internet of Things has come up with the alternative crowdfunding known as the Initial Coin Offerings. This all new funding method has aided several new startups to raise funds and expand their businesses. Businesses have raised over 5.1 billion USD in 2013, which had grown to 16 billion in 2014, and got further momentum in 2015 with over 34 billion raised in that fiscal. The ICO, also known as the Initial Coin Offerings, is the new buzz in the crypto arena and is the part of the cryptocurrencies. It provides an efficient and a simple way to raise funds for developers whereas, it provides an excellent opportunity for the investors to invest in something where they see the value. The ICO is usually lasted for a week and sometimes for a longer duration, wherein, individuals are allowed to exchange the Cryptocurrencies like Bitcoin (BTC) or Ether (ETH) with tokens. There are basically two kinds of fundraising happens with the ICO, one with the fixed coin – fixed price, and another with the fixed coin but floating prices. Meaning, in the fixed coin – fixed price fundraising, the investors are offered coins at pre-determined prices and with designated number of coins, whereas, in the fixed coin – floating price event, the investors are offered fixed number of coin through market-driven prices (i.e. if the project receives more funds then the prices offered per token are raised). Recently, there is a new method has been developed wherein the prices of the tokens are fixed but the number of tokens is dynamic. In this concept, fundraisers, generally, keep the limit in terms of the amount being raised or the duration for which it is offered. Now, as we know what is Initial Coin Offerings, let’s see some of the most successful ICO’s which has given whopping returns to the investors. The Nxt ICO: The Nxt exchange provides a complete solution for users to issue assets/cryptocurrencies in a decentralized manner. It is also available through API allowing users to have the flexibility to connect. The Initial Coin Offering for Nxt platform commenced on 28/09/2013 and remained open till 18/11/2013. During the ICO period, it received only 21 BTC from 73 investors and had raised about $14K. The ICO was offered through unknown bitcoin talk forum and the funds were transferred to raiser’s personnel BTC account. The ICO has given a profit percentage of whopping 199900 percent to the investors. The Ethereum ICO: The software provides decentralized contract application platform and has gained popularity since its launch. 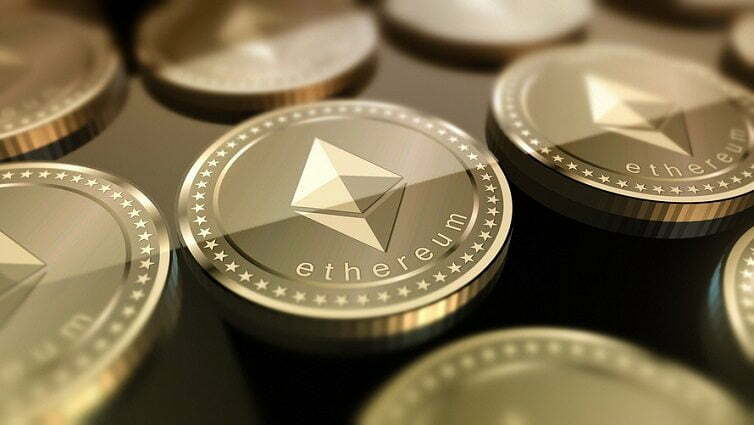 The Ethereum’s native token known as the Ether can be mined through the proof of work protocol which is set to change to the proof of stake protocol. The Initial Coin Offering for the Ethereum commenced on 20/07/2017 and remained open till 2/09/2014. During the offering period of 42 days, it had collected about 31.5K BTC having a value of over $18 million. Making it the second most successful ICO and 6th largest crowdfunded project so far. The developers kept their funds in the BTC which during that time went through a very high volatility and ultimately affected the funds. Since its launch, the Ethereum platform has gained popularity and value. The platform is being utilized by several projects like DigixDAO, Ardor, Singular-DTV, and Iconomi. These are some of the successful Initial Coin Offerings. Besides, there are other offerings which took the world by storm, like, Stratis ICO, Waves ICO, DAO, and more. The Initial Coin Offerings have given returns ranging from 100% to whopping 199900% and has emerged as one of the most lucrative investment avenues in the recent times. If you are interested in investing in the ICO then please continue reading. There are some key points which one must remember before jumping onto the bandwagon. First and foremost, you must select the right ICO service provider. Also, you must understand the product development cycle of the raiser and how he/she intend to utilize the funds raised. Sometimes, the fundraiser raises the funds for no specific reasons. So, it is of utmost importance to understand the fundraising offerings and intentions to utilize the funds. You should also make an effort to evaluate the management team behind the offering. It will help you assess whether the team is trustworthy or not. Also, you should check whether the offering is within the regulatory framework or not, are tokens backed by security, and whether it is offered through a dealer or not. The answers to the above questions will make your decision-making process simple and streamlined. It will also help you make the optimum decision, after all, your hard-earned money is at the stake! So it is of utmost importance to have a complete due diligence before investing. During our research, we have come across few very interesting, informative, and educative material about the Initial Coin Offerings. The first one is the Crypto Coin Judge website. It does the initial drilling of the ICO and provides information regarding the most profitable ICO offerings currently available in the market along with the past issuances. The other one is the ICO Token News which provides in-depth analysis of various offerings and helps you in taking your investment call. Let’s look at both of them in detail. Crypto Coin Judge: This is one of the most popular cryptocurrency trading and ICO website which offers valuable information to the naïve as well as seasoned investors. The website provides ample information regarding the available cryptocurrency brokers and provides a detailed review to better understand and make the final call. The reviews on the website are detailed and follow a process making them consistent in their ratings about each and every available platform. Their news section provides the latest and hottest happenings in the crypto world, while their process-driven reviews allow you to make the final decision. It also provides a trading guide for the beginners along with the list of platforms for bitcoin investing and trading. Each and every listed platform is thoroughly scanned and reviewed by their team. I would recommend you to add the Crypto Coin Judge https://www.cryptocoinjudge.com/ in your favorite list if you are interested in knowing about the best in the market. ICO Token News: As discussed, this is another information source to know more about ICOs. It provides a detailed guide about how to invest into the ICO, what are the must-have information before investing, and most importantly provides you red flags for not investing. It provides end to end information regarding the latest and hottest topics around the ICO arena and the Crypto world. This website will be beneficial to both naïve as well as the seasoned professional in their journey to become a successful ICO investor. It aids you to select the most successful ICO for the investors and most lucrative platforms for the traders. Their unbiased reviews provide detailed information regarding the various offerings and platforms. If you are keen on investing in ICO and Crypto then you must have their website www.icotokennews.com as your favorite source of information. The ICO world has just got the momentum and there is a plenty of scopes for it to explode. The Bitcoin is currently quoting at over $9,000 from just $10 in 2013. You can check the amount of return it has generated for its investors. You can get the latest happening and investing opportunities at ICO Token News and Crypto Coin Judge. Happy Investing!